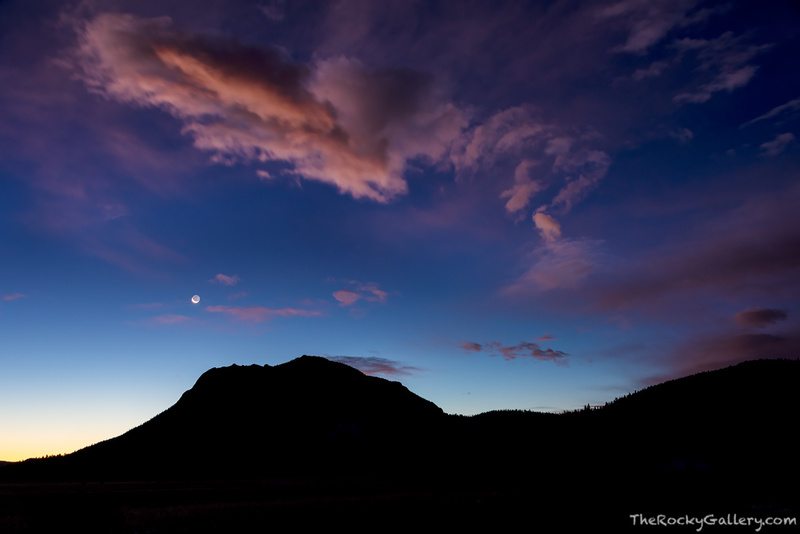 Early on a November morning in Horseshoe Park, a crescent moon sets over the landscape of Rocky Mountain National Park. With the first light of the day coloring the skies over Deer Mountain. The warm reds of the sun starting to color the skies with the early morning blues of a November dawn made Horseshoe Park seem beautiful and mysterious all at the same time. Photo © copyright by Thomas Mangan.